Diagnose- und Therapiepflichten treffen alle an der Behandlung von Traumapatienten beteiligten Arzte und Therapeuten, insbesondere das erstbehandelnde Krankenhaus. Aufgrund zivilrechtlich maßgeblicher Haftungsgrundsätze können sie für Fehler in der Diagnostik, für das Unterlassen der Erhebung gebotener Befunde, für Dokumentationsmängel und für Verstöße gegen Behandlungsstandards persönlich haftbar gemacht werden. Die rechtzeitige Behandlung der psychischen Folgen eines Traumas darf nicht gegenüber der Behandlung der physischen Folgen in den Hintergrund treten. Hospital owners, doctors and therapists treating patients suffering from traumatic events can be hold liable for any diagnostic mistakes, for the omission of necessary diagnoses, for documentation deficiencies and for the violation of therapeutic standards. The patient’s right law established the relevant principles of liability according to civil law. The treatment of mental consequences must not at all be neglected towards physical consequences. Der Beitrag ist dem Problem der fehlenden Behandlung gewidmet. Die provokante These ist, dass eine ausschließlich auf den Körperschaden nach Unfall (oder Krankheit) gerichtete Behandlung die Vulnerabilität für einen posttraumatischen Gesundheitsschaden erzeugt. 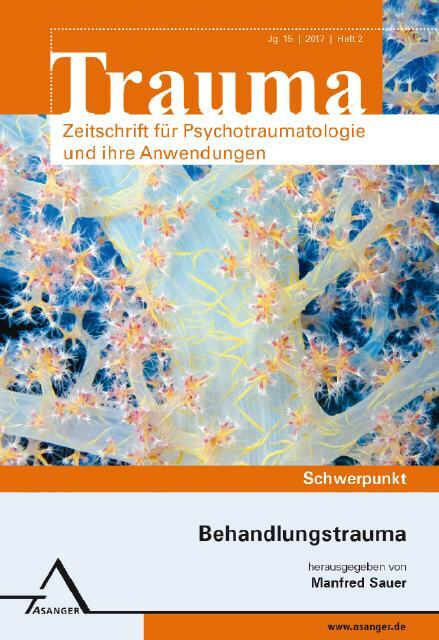 Wir haben im letzten Trauma-Heft die Folgen für den chronischen Schmerz nach Trauma beschrieben. In der vorliegenden Arbeit wollen wir die Folgen einer fehlenden Behandlung für das erweiterte Spektrum posttraumatischer Störungen betrachten und das Problem und die Situation an einem weiteren Beispiel verdeutlichen. This contribution is dedicated to the lack of treatment. The provocative thesis is that treatment – exclusively given to cure bodily harm after some accident or illness – will generate vulnerability for a posttraumatic defect of health. We described the outcome for chronic pain after trauma in the last trauma-volume. In the present article we are trying to illustrate the consequences of the lack of treatment for the extended spectrum of posttraumatic disorder and we want to explain the problem and the situation by a further example. Unwirksamkeit oder schädliche Auswirkungen von Psychotherapie können sehr unterschiedliche Gründe haben. Von den manchmal unvermeidlichen Nebenwirkungen einer korrekt durchgeführten Behandlung zu unterscheiden sind die Folgen von Kunstfehlern, die zumeist in Grenzüberschreitungen innerhalb der therapeutischen Beziehung bestehen. Wir unterscheiden in diesem Zusammenhang zwischen primärer und sekundärer Traumatisierung. Unter sekundärer Traumatisierung fassen wir den mühevollen und häufig äußerst belastenden Prozess der Aufarbeitung solcher Ereignisse etwa im forensischen Kontext. Als primäre Traumatisierung bezeichnen wir das Trauma der Grenzüberschreitung selbst, insbesondere dann wenn es sich dabei wie nicht selten um eine Wiederholung handelt. Nonresponse of psychotherapy can be due to a variety of factors. Side effects of the psychotherapeutic intervention itself are only one possible reason in addition e.g. to the severity of the psychological disorder. However, sometimes a mishandling of the psychotherapeutic relationship or setting resulting in a blurring of boundaries and intruding into the patients personal autonomy is the core issue. Sexual abuse in the therapeutic relationship in Germany is a legal offense. These events are often leading to detrimental consequences for the patient and the therapeutic process. We suggest to consider the concept of a secondary form of trauma which may arise in the inevitable process of bringing the violation of the therapeutic abstinence to the knowledge of others often in a forensic context. Missbrauch in Psychotherapien ist bis heute keine Seltenheit. Er hat gravierenden psychische Schädigungen der betroffenen Patientinnen zur Folge. Hierzu wurden seit über 20 Jahren viele Studien durchgeführt, was u.a. zu einer Aufnahme des Tatbestands ins Strafgesetz führte. Die begründenden, insbesondere psychodynamischen Zusammenhänge zu verstehen ist nach wie vor dringend erforderlich, um einer erneuten Abwehr des Themas vorzubeugen und damit weitere Traumatisierungen von Patientinnen durch Psychotherapeuten zu verhindern. Sexual abuse in psychotherapeutic client-therapist-relations is not uncommon. Abuse causes severe damage to a patients health and psychological wellbeing. This is confirmed by more than two decades of research, which led to a new law in Germany that penalizes sexual abuse in psychotherapeutic settings. It is of high importance to understand causative factors that lead to abuse, especially from a psychodynamic perspective, in order to prevent defense against it in the professional community and ultimately avoid ongoing patient traumatization by psychotherapists. Im Alltag einer Kinderzahnarztpraxis begegnen uns immer wieder Kinder, die die Behandlung verweigern bzw. so starke Angstsymptome zeigen, dass eine normale Behandlung aufgrund mangelnder Kooperation nicht möglich ist. In vielen Fällen zeigen sie Symptome wie bei einer posttraumatischen Belastungsstörung (PTBS). In dieser Arbeit soll anhand eines Falles aus der Kinderzahnarztpraxis diskutiert werden, inwieweit Kinder nach medizinischen oder zahnmedizinischen Eingriffen Symptome einer posttraumatischen Belastungsstörung entwickeln können. Dabei wird das Konzept einer „traumafokussierten Kinderzahnheilkunde“ vorgestellt. In daily routine of a pediatric dental office we meet frequently children refusing dental treatment or showing such strong symptoms of dental fear that there is no possibility of treatment because of missing cooperation. In many cases they show symptoms similar to symptoms of a posttraumatic stress disorder (PTSD). In this article we want to discuss by description of a child’s case in our office, whether children can develop symptoms of PTSD after medical or dental treatment. As well we show a new approach we call “trauma-focused pediatric dentistry”. Im Zentrum dieses Beitrags stehen Überlegungen, wie sich in Psychoanalysen die manifesten Trauminhalte bei traumatisierten Patienten verändern. Im ersten Teil des Beitrages (Teil 1) steht diese Frage im Zentrum und wird anhand einer klinischen Fallstudie nachgegangen. Dabei konzentriert sich der Beitrag auf die in den Therapiesitzungen berichteten manifesten Trauminhalte. Die Veränderung der manifesten Trauminhalte vom Beginn der Therapie zum Ende der Therapie erweisen sich als gute Indikatoren für den Therapieerfolg. Changes in dreams as an indicator for therapeutic success. 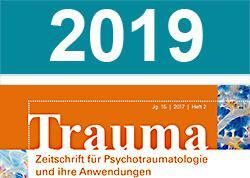 In this article changes of manifest dreams in psychoanalyses with traumatized patients are discussed. In a first part (part 1) the focus is on a clinical case study with its manifest dream content as reported in the clinical psychoanalytic sessions. The found changes in manifest dream content from the beginning to the end of therapy proof to be a good indicator for therapeutic success. The focus of this second part of the article is on the research question, whether these changes in the manifest dream content, as reported during psychoanalytical sessions, correspond with those studied in dreams of the same patients which he has told after being woken up in the sleeping laboratory (part 2). As will be illustrated: the clinical and extra-clinical investigations of the structural changes in the dreams show amazing similarities. These results increase the credibility of the clinical case study. Ohne einem einseitigen Biologismus das Wort zu reden, darf angenommen werden, dass ein Verständnis für den Zusammenhang von neurobiologischen und Geistesprozessen, dazu beitragen kann, das therapeutische Handeln konkreter auszurichten. Dabei sollte das Wissen um die Hirnfunktionen auch für das didaktisch-methodische Vorgehen handlungsleitend sein. Insbesondere die grafische („visuelle“) Systematisierung der Inhalte, getragen von Kompetenz und Glaubwürdigkeit der Lehrenden, unterstützt den Erwerb dieses anspruchsvollen Wissens. Wird auch die Beziehungsqualität berücksichtigt, so zeigen sich erstaunliche Parallelen zum Lernprozess, wie er sich auch im therapeutischen Kontext vollzieht. Without advocating for the only use of biologism, we assume, that an understanding oft he connection between neurobiological processes and mental functioning can contribute to more concrete therapeutic treatment. Knowledge of brain functioning should also guide the methodological didactic approach. In particular, visual organization and presentation oft he content, supported by high competence and credibility of teachers, supports acquisition of complex knowledge. If the relationship quality is also taken into account, astonishing parallels with the learning process seen in the therapeutic context can be noted.